Have watch a few videos by Nina Ribina using inks and alcohol with some limited success. As she has pointed out the surface you are using is very important and I don't think I've found the right paper for me as yet. I did have a go with water colours and alcohol, as in the linked video, and was more successful on some multi media card I had purchased. I don't have fancy water colours, just very cheap ones I bought to try out for techniques before I splurged on anything more expensive. It worked fairly well, although my colours were limited. It will make a good background for some cards or other projects. 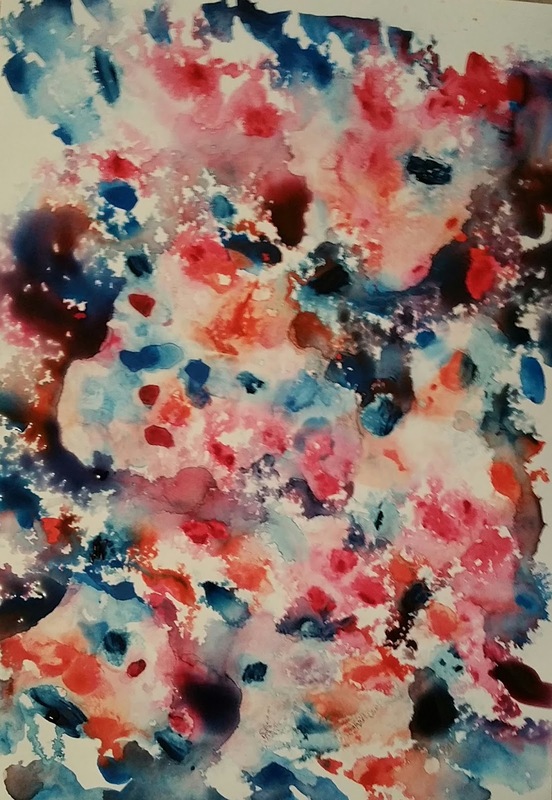 This is and entry in Paper Arty's #14 Challenge - Colour Mixing.